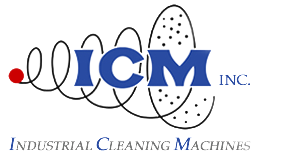 Welcome to ICM Inc. - ICM Inc.
A Blast Room allows the operator to enter the work chamber and directly blast parts that might be too heavy for, or not fit in, a Blast Cabinet. 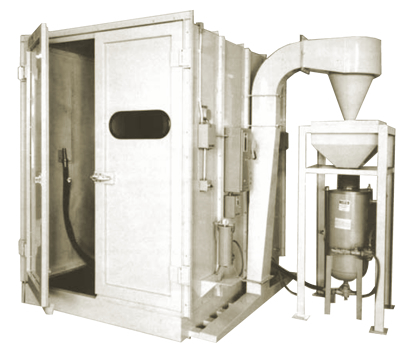 In the most basic Blast Room, the operator sweeps up used abrasive and shovels it into the pressure pot. 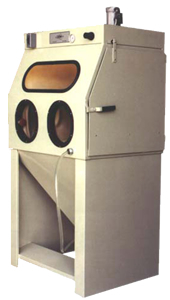 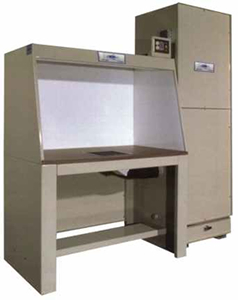 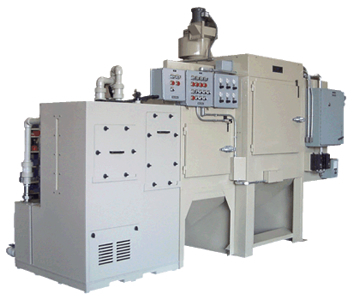 Our HydroHone line of slurry-blast machines is perfect for jobs too delicate for traditional dry blasting. 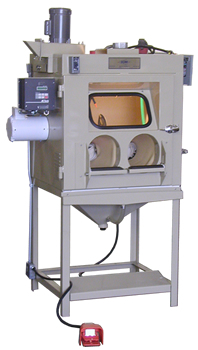 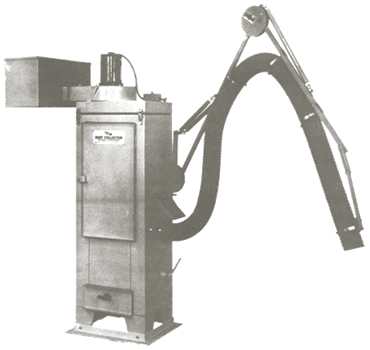 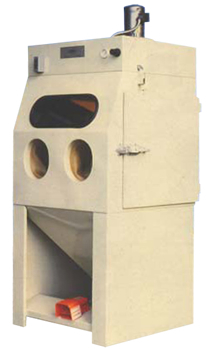 ICM is a prime manufacturer of Hopper Bottom and Space Saver Dust Collectors, Cyclone Separators and After Filtration Systems designed and built to meet the demanding air quality standards of the 21st century.